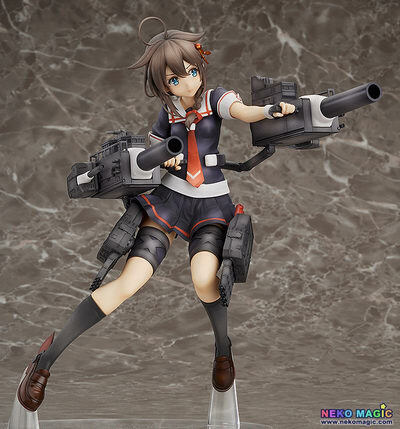 March 10th, 2015 By: GGT Category: 2015/09 release, Figure News. 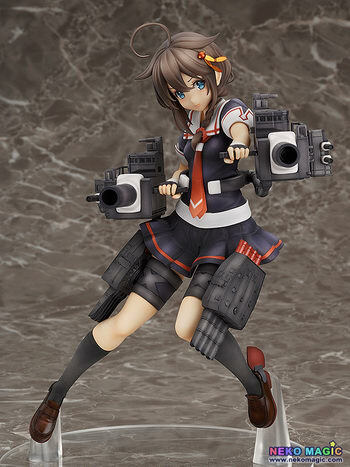 Good Smile Company is going to release the Shigure ( 時雨 ) Kai Ni ( 改二 ) 1/8 PVC figure from the popular web game/anime “Kantai Collection” ( 艦隊これくしょん ). Will be released in September 2015. 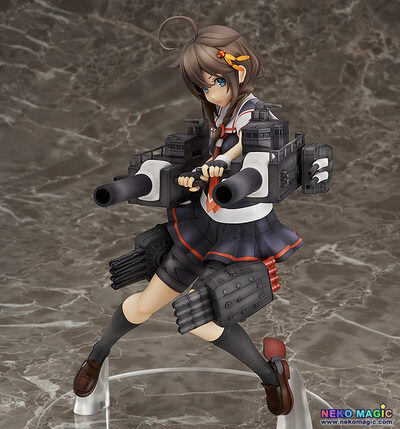 Around 205mm tall, 13,704 yen. 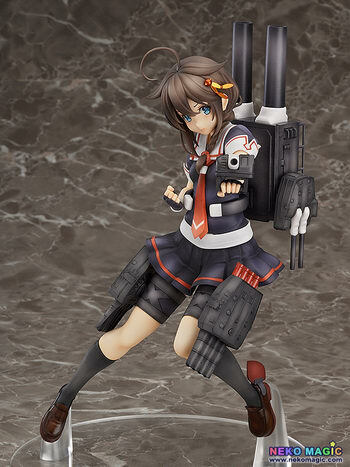 From the popular browser game ‘Kantai Collection -KanColle-‘ comes a 1/8th scale figure of the 2nd Shiratsuyu Class Destroyer, Shigure Kai Ni! 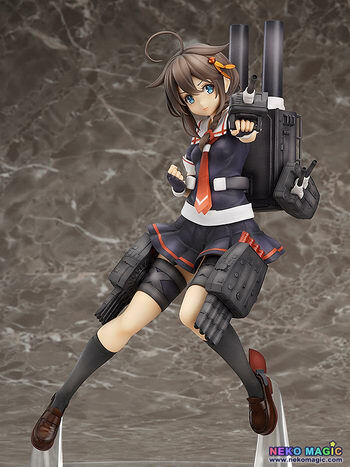 The pose is based on the illustration used on Shigure’s card in Bushiroad’s card game, ‘Weiβ Schwarz’. 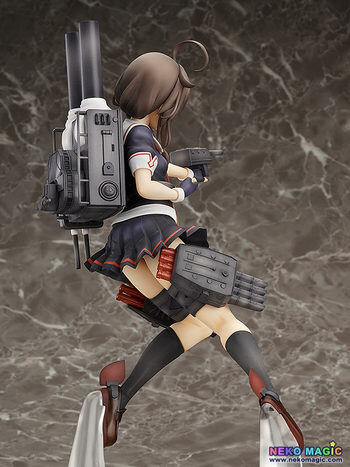 The ship parts differ to those normally seen in the games illustrations, and the pose depicts Shigure in a confident and powerful looking way that fans are sure to enjoy! 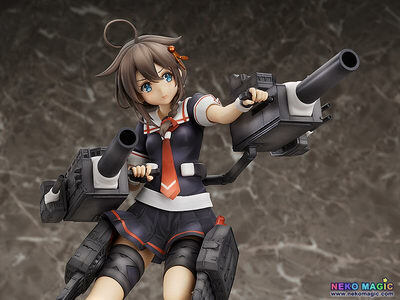 Additionally, the figure comes with alternate parts that allow you to display her more true to the games illustration – with the larger ship parts attached to her back and smaller turrets on her arms – quite a large variation for a scale figure. 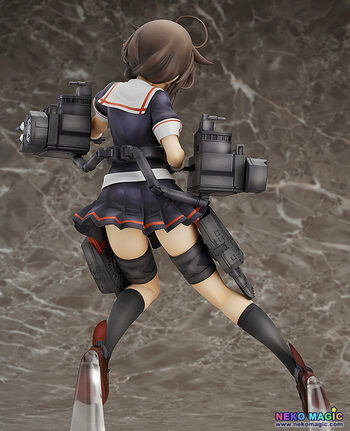 The smaller turrets on the sides as well as the torpedo launchers on her legs are also articulated, allowing you to place them at the angle that you think suits her best!